Hope you're all doing well? The past few days have been pretty miserable for me, as I had to come home sick from work the other day with chest pains and dizziness. I'm still not feeling great right now, but I've been getting plenty of sleep in hope that I will feel better soon. Anyway lovelies no more doom and gloom from me... as I've been pretty excited about getting this post live. I've always been a bit of a notebook/planner hoarder, but there are currently three in my life and I just can't get enough of them. They are all pretty different, but equally amazing. This post isn't really a full review of each planner, but more of a sneak peak into each planner which I hope might be helpful if you're considering purchasing one of these gorgeous planners. I would love to hear from you in the comments section below or if you would like to get in contact why not use my social media icons to the right hand side for a quicker response. 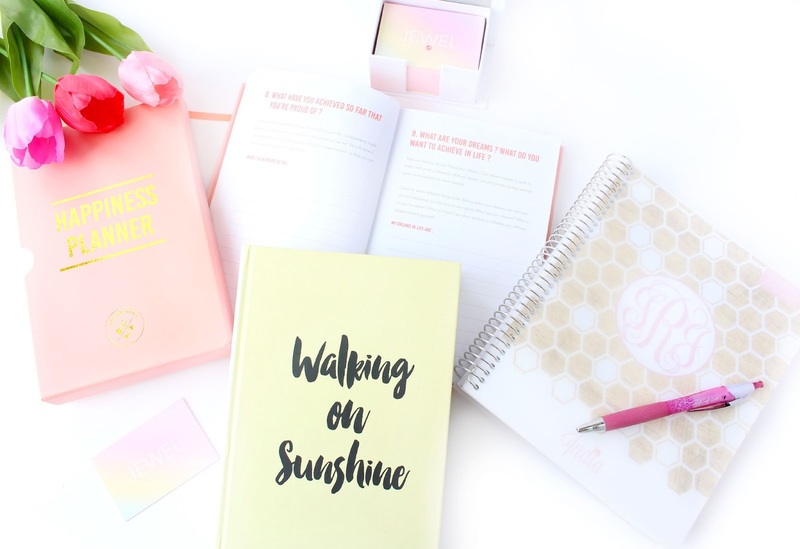 I'm the first to admit I'm not the most organised blogger and I don't always have content ready to go, so I decided to invest in a 'Bloggers Planner' which has been extremely popular within the blogosphere recently. I seem to spend what seems like forever on a laptop both in work and then at home, so I like to have somewhere to write down all my creative ideas at the end of the day. I just don't think you can beat pen and paper - do you agree? 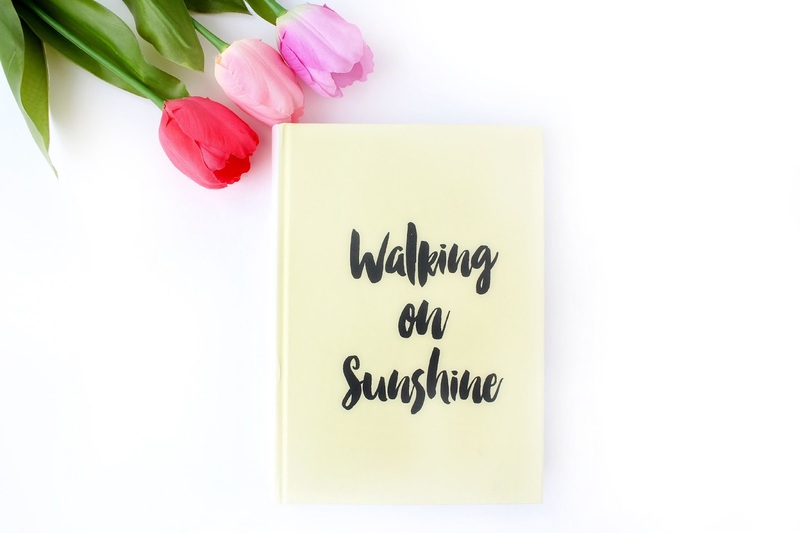 I decided to opt for the limited edition sorbet shade and I just loved the quote 'walking on sunshine' I decided not to put my blog name on there, as I didn't want to limit this planner to just blog ideas. 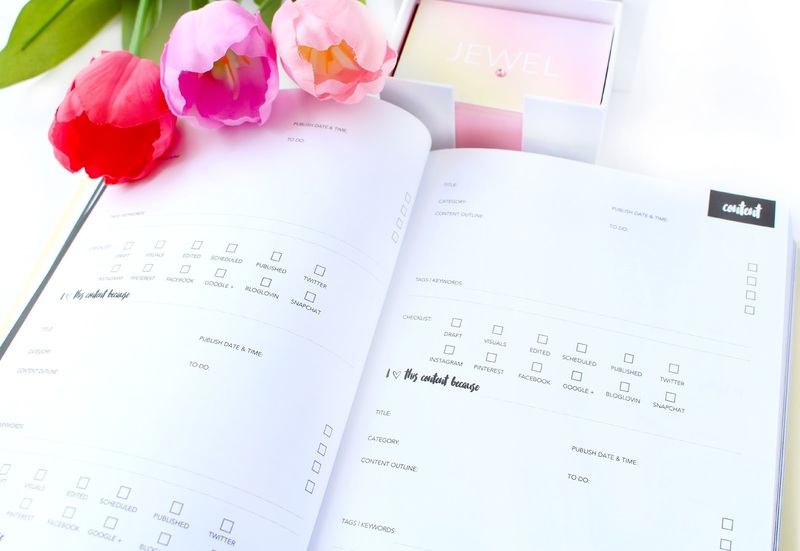 I'm currently in the process of growing my brand Jewel By India R, so it's a great place for me to store all of my creative outlets. The Bloggers Planner is 12 month dated and contains a yearly view, monthly quotes, weekly content planner, stats tracker and many more amazing features for bloggers/youtubers. If you're looking for a great quality planner for everyday use and for blogging/youtube purposes then this would definitely be a great option. After umming and ahhing about purchasing The Erin Condren Planner or The Day Designer I decided to see if I could find something similar, but slightly more affordable. I can be hit and miss with planning at times, so I didn't really want to spend over £100 (with shipping/customs) on something I wasn't 100% sure if I would fully use. I stumbled across Plum Paper on Etsy and was amazed to find a pretty similar looking planner to the likes of Erin Condren, but for a more affordable price. I was really impressed with the service from Plum Paper and they also have a good selection of add-ons including a blogger add on, which I actually really like. If you like to keep your planning all in one place then I would 100% recommend the Plum Paper Planner and would say it's definitely the most versatile out of the planners in this post. There is definitely enough space to organise your personal life, work and blog (if you wish) and this is the planner I take around with me on a day to day basis. The shipping slightly varies for all of the planners above, but all of them came in at just under £35 including shipping. The 'Plum Paper' Planner & The 'Happiness Planner' were both shipped from the USA, but I did not have to pay any additional charges *yipee* Obviously, I can't guarantee that will be the same for everyone, but it might be useful to know if you're thinking of ordering one of these beautiful planners for yourself! I hope you've enjoyed this post lovelies? - I would love to know what planner you would choose from today's post OR are you more of a digital planner? I love the look of the Plum Paper planner - I've been eyeing them up on Etsy for a while now, I may have to invest for 2016!! I am obsessed with my planner, I couldn't be without it. Sorry to hear you've been feeling unwell lovely, hope you're back to normal soon! Totally in love with all of these planner - such a stationary nerd! - but I have to say, the bloggers planner is a particular fave of mine! Love so many of these. 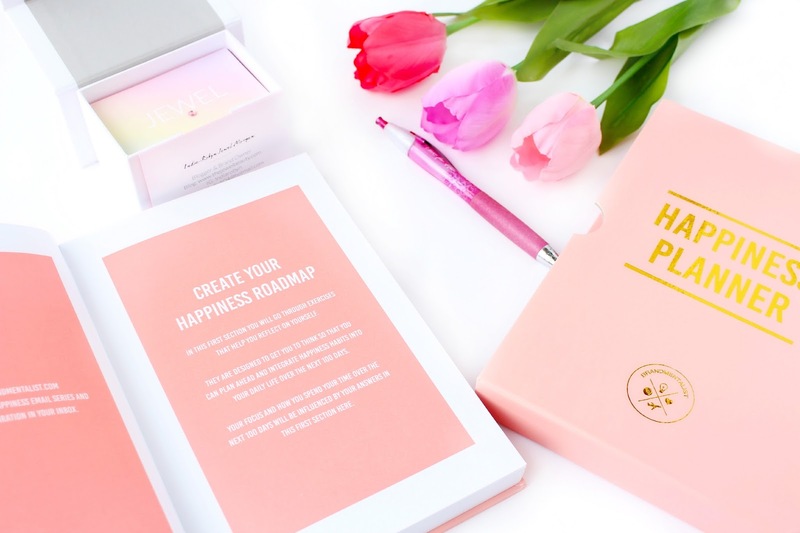 I especially want the happiness planner! Hope you're feeling better now. 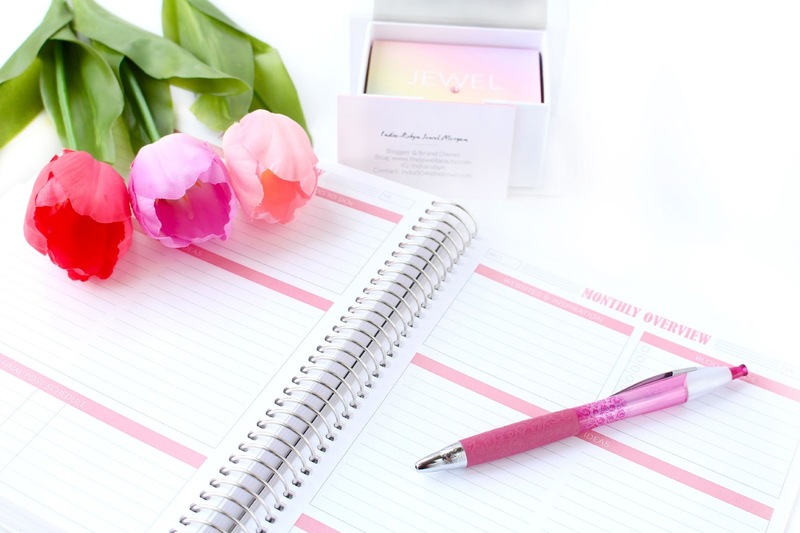 This was such a helpful post and I've been looking into already getting my planner for next year so I will keep these three in mind especially jelly the bloggers planner. I want the bloggers planner so bad! I love the blogger planner so much, the colour and quote on the front is so pretty. I really want to get more organised with my blog so I'm tempted to pick one up too. This is a brilliant post! 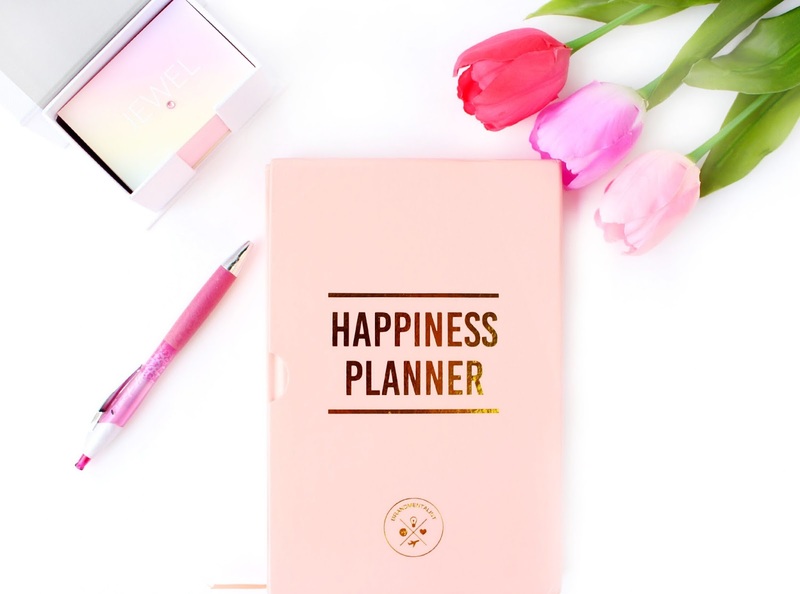 I've been searching for the right planner for me for a while now, and this post has been so useful... apart from I want all three! I've spent the past few days trying to decide whether to buy a new student planner as I'm finally out of university so really I could buy a yearly one but I've fallen completely in love with the plum planner I just need to buy it!